Large wall-sized displays are becoming for affordable and widespread throughout the design, education, business, and entertainment industries. 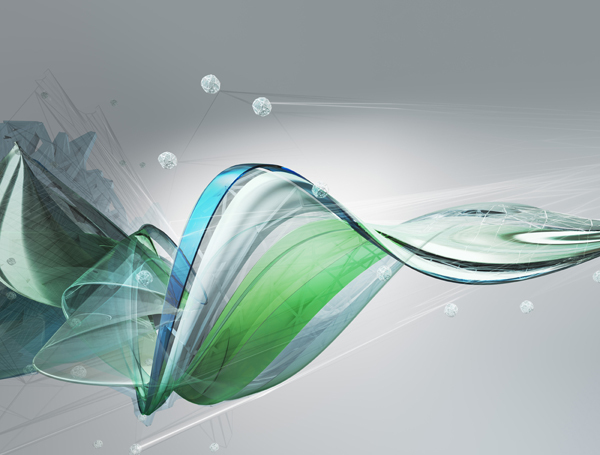 Such displays can be used for highly technical visualization work such as scientific visualization of a large data set, process control, or technical design. 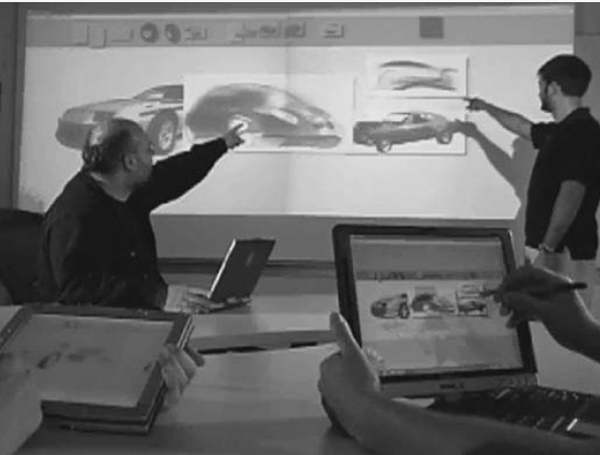 At Autodesk Research, we are investigating these types of applications and exploring design solutions to the unique interaction challenges which large wall-sized display configurations present. 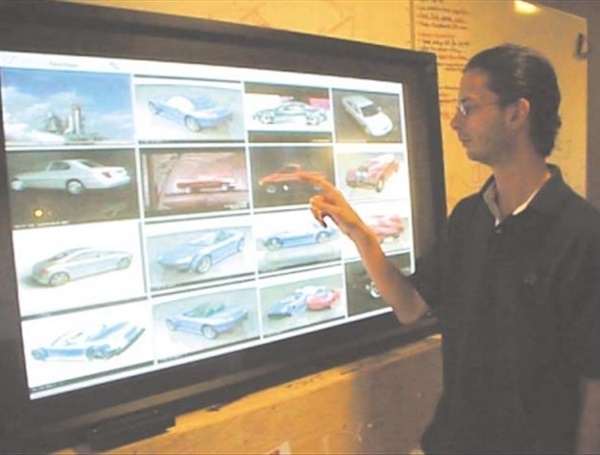 In the past, our research specifically focused on the use of large displays in the design and automotive industries. 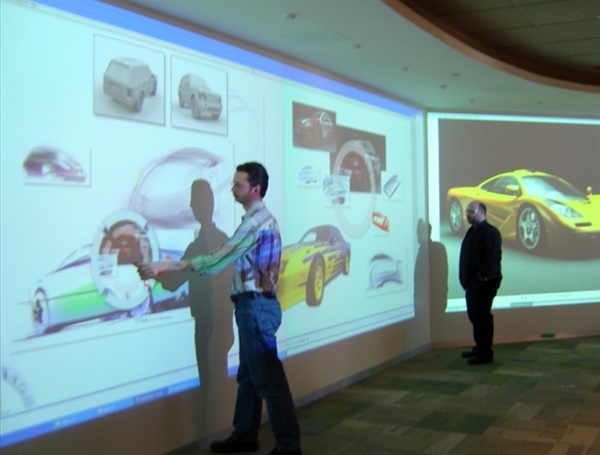 We developed technologies for maintaining and interacting with design portfolios, and also interactively designing 2D and 3D automotive models directly on a wall-sized large display surface. 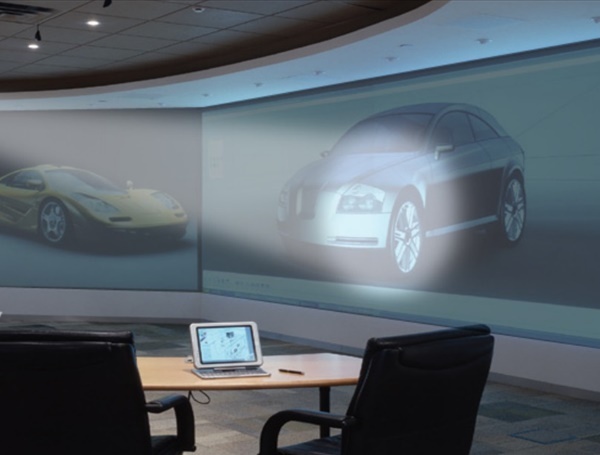 More recently, we have been investigating design solutions to address the challenges associated with incorporating large displays into meeting spaces, and performed studies in our own multi-display Visualization Studio, housed in our Toronto Office.